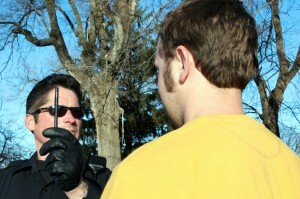 blog home DUI What Field Sobriety Tests May You Face on the Roads? What Field Sobriety Tests May You Face on the Roads? Over the years, police across the nation have worked to improve their detection of drivers in order to weed out those who are operating their vehicles under the influence of alcohol and/or drugs. In order to establish grounds for breathalyzer tests and evidence for arrest, field sobriety tests are commonly administered to drivers who have been pulled over. What are these tests? Each of these are meant to measure a subject’s physical abilities to see if he or she has been driving under the influence. However, other factors, such as disabilities, can cause wrongful arrests after a test. One-Leg Stand: The subject will stand on one leg with the other foot lifted off the ground and arms by his or her side while counting. Struggling to maintain balance and concentration could be a sign of intoxication. Walk and Turn: The driver will be instructed to walk in a straight line heel to toe while counting out the steps. Taking more steps than instructed, losing balance, improperly counting, and not walking in a straight line can cause a failure. Horizontal Gaze Nystagmus: A suspect will follow an object held by an officer back and forth with his or her eyes. The officer will watch your eyes for nystagmus, the involuntary jerking of the eyes. Intoxication causes this jerking to be more pronounced. Non-Standardized Tests: Other tests sometimes used but not subjected to National Highway Traffic Safety Administration guidelines can be used as well. These non-standardized tests include reciting the alphabet, touching nose with finger, counting backwards, and other balance tests. An Irvine DUI defense attorney from The Law Office of Joseph H. Low IV has the insight and skills needed to present a well-rounded defense of your rights. If you are facing drunk driving charges, do not hesitate to contact us for a free consultation to better understand your potential penalties and what you can do to protect yourself. To learn more about our services, call us at (888) 454-5569.